buildingSMART are now offering the option of publishing work as a publicly accessible SPECification SPEC. The bSI SPEC is a document that can be produced by any organisation that wants to standardize best practice on a specific subject but is not yet ready to proceed with producing it as a bSI Standard. 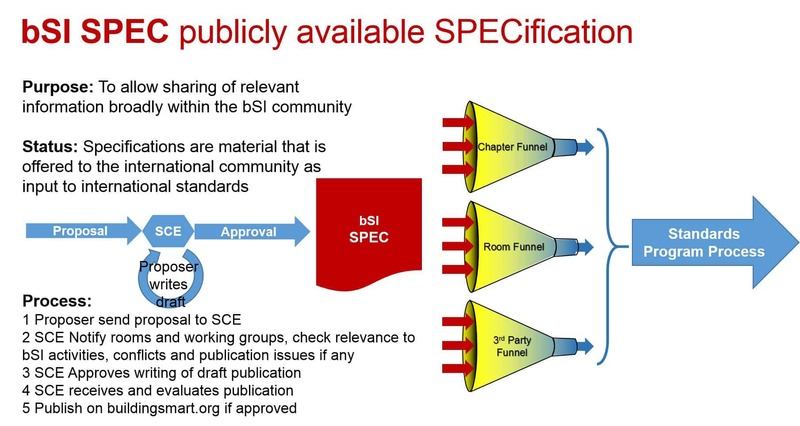 The SPEC invites comments but unlike the final bSI Standard, it does not necessarily reach consensus. If you want to apply to create a SPEC please use this form.